Get ready to spin and win playing your favorite slots this summer in our fantastic Summer Spin Tourney from August 3rd till August 30th. 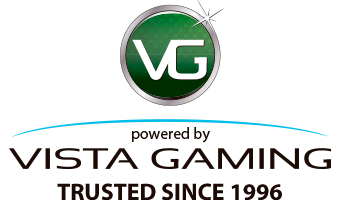 We've selected a great range of our players' favorite video slots to play as we give away a fantastic $3,000 in guaranteed prizes in this action packed tourney. The Summer Spin Tourney plays from tourney Monday, August 3 at 12:01AM EDT until Sunday, August 30 at 11:59PM EDT, all you have to do is spin and win on any or all of these great video slots. The more you win, the higher you climb up the leaderboard to be our tourney winner. With a fabulous $1,000 to be won by our Summer Spin Tourney winner and fantastic prizes for the top 20 players who spin and win the most, join in the video slot action and excitement in August for your chance to top the tourney leader board and win yourself a fantastic $1,000 cash prize in our Summer Spin Tourney. With incredible prizes to be won, start spinning and winning your way to $1,000! Only wins from the Video Slots shown above will be considered towards winning the Slots Tourney. Only wins accumulated within the timeframe of the tourney Monday, August 3 at 12:01AM EDT until Sunday, August 30 at 11:59PM EDT will be considered towards winning the Slots Tourney. Only Active funding players with at least one (1) approved deposit in the last 30 days may take part in this Tourney. Only 1st place ranking will receive their prize in cash… rankings from 2nd to 20th will receive their prize in credits. All prizes will be credited to the players accounts automatically on Monday August 31st. In the case of a tie in aggregate winnings ; the higher ranking and prize for the specific ranking will be awarded to the player who reaches that amount of winnings first.